G24 takes ultimate victory - What is happening in the world of Lonville? Remember how Gabriele Gardel won the 24 hours of Le Mans? He crossed fhe finish line with nearly 300km/h to win his class, wearing a G24 prototype. It was an incredible experience. You can read about that amazing week-end here. It then took us nearly five year to get the G24 just right. You can’t rush beauty, nor perfection. We asked Matthew Humphries – who penned the amazing Morgan Aeromax – to design the G24. 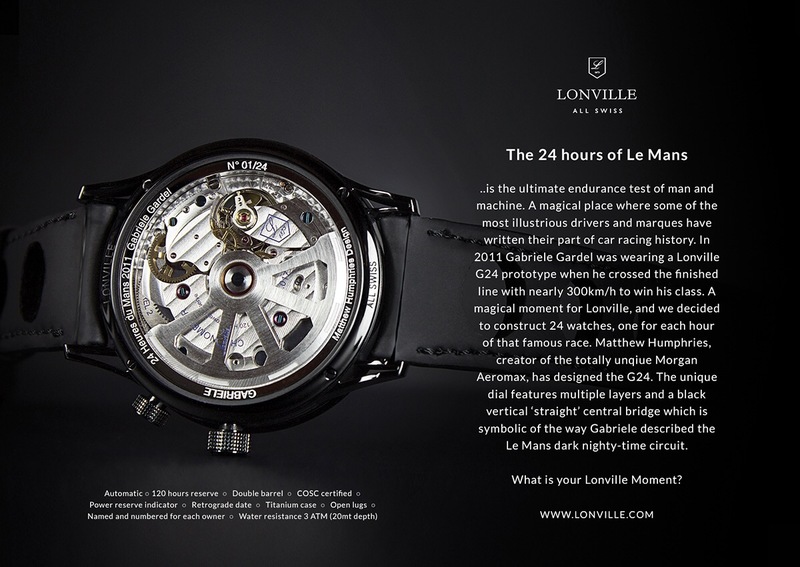 The vertical ‘straight’ of the dial was inspired by Gabriele’s description of the night time race circuit at Le Mans. Matthew loves real materials and his dial design features multiple layers, different levels and each surface has been mechanically worked with different patterns and tools, at an icnredible level of detail. The result is unlike any other watch. And that makes it very much a Lonville. Oh, and we will only ever make 24 pieces, one for each our of the race. Staying true to this watch’s undeniable motorsport heritage, the case and closure are constructed from titanium, offering superb strenght at an incredible low weight. To ‘add’ further lightness, the Superleggera variant has drilled lugs, and drilled case sides. 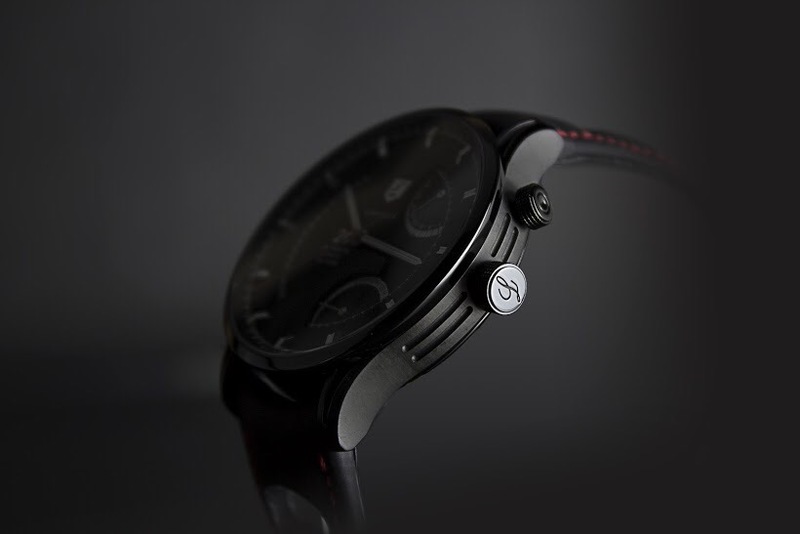 Whilst these features give a technical appeareance, the G24 never looses its cool and remains an understated watch for those unaware of these details. We like it like that. The LV2 automatic movement is also a true powerhouse. Featuring double barrels the power reserve reaches nearly six days of autonomy, clearly displayed by the power reserve indicator on the dial. LV2 also features a retrograde date indicator, and Matthew managed to design a dial where these two indicators are mirrors of eachother. The rotor design was inspired by the wheels of a bugatti type 35 – why? Just because. The movement is finished in coted de geneve, blued screws and Lonville’s signature blue engraving. Naturally, each individual movement is individually tested for a few weeks for accuracy at different temperatures and different positions by the independent chronometer institute in Switserland. 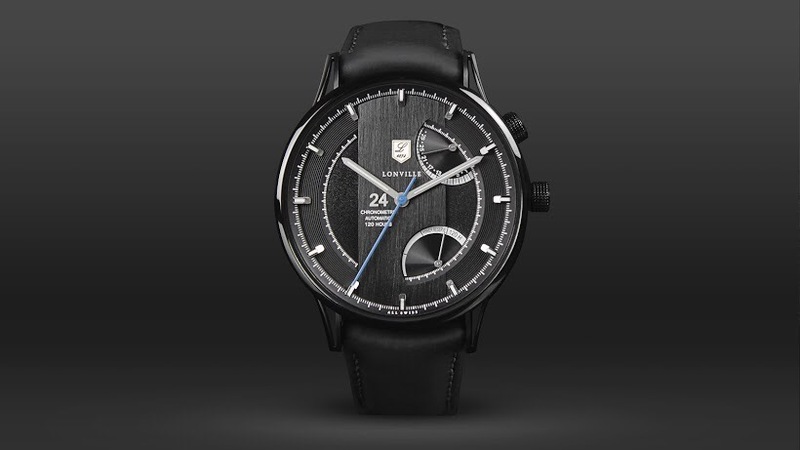 Each watch comes with its own COSC certificate. Absolute performance under extreme conditions – sounds a bit like the 24 hours of Le Mans, doesn’t it? Each watch is obviously numbered (from 1 to 24) and the name of the feature owner is engraved, with the whatch number, under the saphire case back. Totally unique, very personal. Very Lonville.